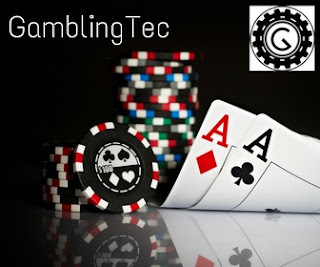 We would not be in the gambling business today if we had not started at a time when you could get online and gaming for as little as $25 per month. And that is exactly how we started. A cheap shared hosting account and a processor who was happy to give us an aggregated merchant account and distribute funds to a personal bank account. My office consisted of a computer that destined for the dump and a sofa that doubled up as my bed. I worked 20 hour days for two years and my time was spend figuring out ways to market a product on a zero budget. Today things are different for us and for new startups. While we no longer need to sleep on sofas, the new startup faces a new set of challenges in order to get going with their new venture. The main challenge is that it has become an expensive and regulated industry with checks and balances in place to keep the industry honest. These checks and balances come at a price and you can read about the Curacao costs here to get an understanding of what is now involved in setting up your new gaming business. What some startups have been doing is going the alternative currency route (think BitCoin, LiteCoin). Since these currencies are not recognised it means they can significantly cut regulation related costs in order to get online and trading. If I look back at how we got started and the path that has led us to this point in time, the main factor that aided us was cash flow and the preservation of cash. In plain english, we kept our costs as low as possible and did not spend our capital frivolously. That and a lot of hard work. This can become an expensive exercise. Now many startups will seek investors who will pay a lump sum of cash in return for a chunk of the business. This cash is typically spent on the infrastructure required and of course marketing. If you are not lucky enough to have an investor, then you either have to go the BitCoin route and start on a wafer thin budget or look to a business such as ours where we have the pre-existing infrastructure you require to setup your venture. Gaming JV - We take care of regulation, you build and run the business. We do not get involved in the technical aspects of the venture (unless asked). We play an administrative role in the venture in return for a discounted monthly fee and a 5% stake. Cloud Gaming Venture - For the game developer or entrepreneur who is unable to afford a JV type venture, we offer our cloud gaming system. This is a licensed platform that we operate on an affiliate basis. The added bonus is that we have built the system so that it can easily be plugged into new games (so long as they have the required RNG certificates). The hardware we provide for your game is free. If you setup an affiliate arrangement to promote your game, your are paid 50% of the gross net revenue of your affiliate income i.e. (100% - 15%) / 2. For the startup this is a really nice starting point. You get hardware in a licensed jurisdiction, your servers paid for, and your game will be exposed to other affiliates promoting the networks games. The only cost you may incur, is if you wish to setup a local website for the game, this would cost less than $30 per month. 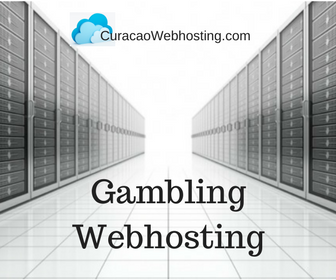 Realistically speaking a gaming enterprise will cost approximately €40,000 EUR per annum if run from Curacao (this excludes salaries, hardware, maintenance and other costs you may be subjected to). With this in mind you can quickly evaluate the value of the models offered. One thing is for sure: If you are able to setup a successful business through either model, and find yourself in a position where you would like to go it alone. We will support you in this endevour and assist you with all aspects of the process. Our primary goal is to provide a space where new gaming businesses can be incubate. In the long terms this means more business to Curacao and more confidence in the countries integrity when supporting the new business venture. Should you be interested in speaking with us contact us via our support desk. For more information on costs in Curacao, have a read here.